WASHINGTON - How did the earliest land animals move? 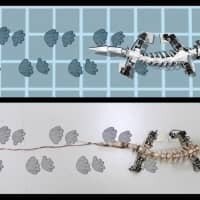 Scientists have used a fossil skeleton and preserved ancient footprints to create a moving robot model of prehistoric life. Evolutionary biologist John Nyakatura at Humboldt University in Berlin has spent years studying a 290-million-year-old fossil dug up in central Germany’s Bromacker quarry in 2000. The four-legged plant-eater lived before the dinosaurs and fascinates scientists “because of its position on the tree of life,” said Nyakatura. Researchers believe the creature is a “stem amniote” — an early land-dwelling animal that later evolved into modern mammals, birds and reptiles. The fossil, called Orabates pabsti, is a “beautifully preserved and articulated skeleton,” said Nyakatura. What is more, scientists have previously identified fossilized footprints left by the 3-foot-long (90-cm) creature. They repeated the exercise with a slightly scaled up robot version, which they dubbed OroBOT. The robot is made of motors connected by 3D-printed plastic and steel parts. The model “helps us to test real-world dynamics, to account for gravity and friction,” said Melo. 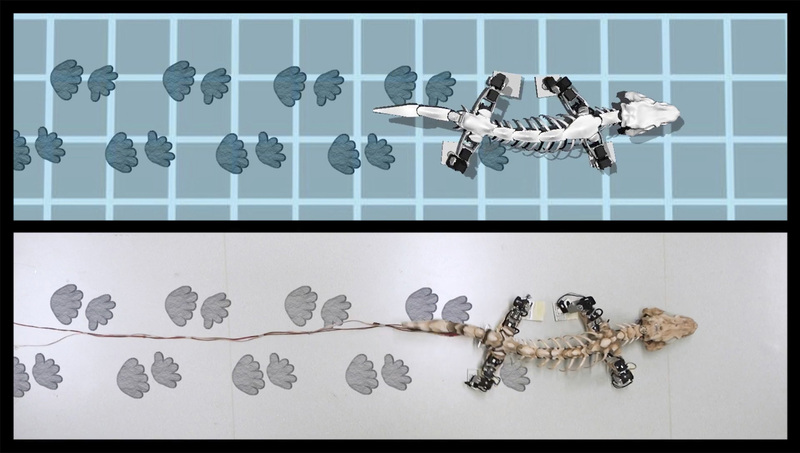 The team also compared their models to living animals, including salamanders and iguanas. 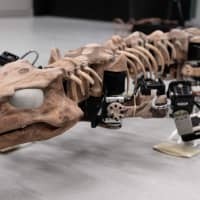 Technology such as robotics, computer modeling and CT scans are transforming paleontology, “giving us ever-more-compelling reconstructions of the past,” said Andrew Farke, curator at the Raymond M. Alf Museum of Paleontology in Claremont, California, who was not involved in the study. 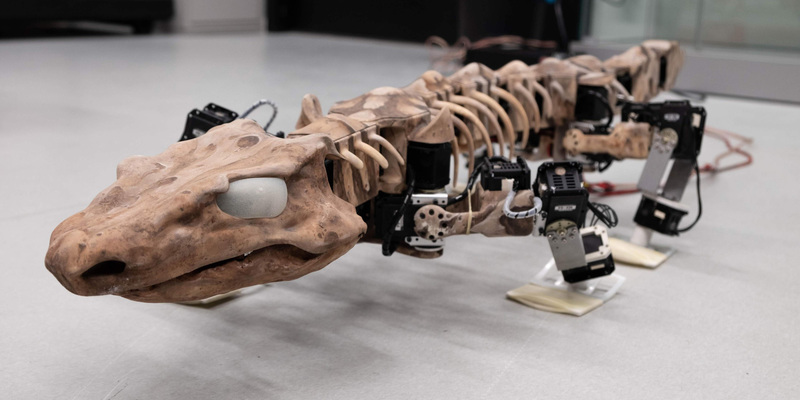 Based on the robot model, the scientists think the creature had more advanced locomotion than previously thought for such an early land animal — closer to scampering than to slithering.